The backbone of representative democracies, it is of the critical importance for governments and organizations to be able to prevent fraudulency in public elections. Upon considering the elections in terms of their impacts in the political and economic landscape of most states, it’s obvious that “sheltered” voting system is one of the urgent needs for the governments that aim setting up more democratic and trustworthy elections. Therefore, as a response to the diverse attempts to manipulate election results through foreign interference, lack of transparency, and various ballot tricks e.g, there have already been several methods implemented such as ballot-based voting, purely electronics-based voting, and digital voting systems to provide secure, trustworthy and democratic elections in which citizens or members are able to cast their votes. In particular, in recent times, there has been an increasing adoption of E-voting systems for the aim of providing voter confidence as a response to the failure of traditional electoral mechanisms to conduct a more democratic election process. The current methods of voting processes, even those realized in electronic platforms cannot satisfy a certain level of transparency, which in turn can preclude the confidence of voters about the sameness of casted votes with the ones counted by election officials. Taking into consideration the diverse examples all around the world, it’s so likely to reach such an assumption. For example, in Brazil, Direct Recording Electronic (DRE) system enables only government officials to have information of election records except for the vote counts, which means that if needed, there needs to be a recount of votes regardless of public concerns on whether there is an external interference in election process or not. Additionally, in the age of digitalization, there still has been a hacking threat to electronic systems. During the 2016 elections, the Department of Homeland Security claimed that Russian hackers allegedly targeted voting systems in 21 states. Illinois officials confirmed their state’s databases were breached, with 500,000 voter records compromised. Merely these numbers can reflect the need for a superior system that would protect the votes before and right after the elections take place. At this stage, it’s not likely to offer completely elimination of traditional and electronic methods employed during election processes. However, it’s more plausible to recommend that existing state structures can harness emerging technologies like Blockchain infrastructures to amend the confidence and transparency problems observed in public elections. The actors that are aware of potential advantages of Blockchain technology have already started to integrate it into their strategies for elections. So, how can the usage of Blockchain technology during the election process improve the transparency, contribute to voter confidence and thus, strengthen democracy? With the help of a decentralized network of this technology, there cannot be any attack or change to registered votes in the system without the consensus of all nodes in each block of the network, which points out both voter privacy and security of votes. Accordingly, first Blockchain-based voting platform developed by the Kaspersky Lab Business Incubator for the Middle East, Turkey and Africa, Polys, uses smart contracts facilitated by Ethereum infrastructure to provide ballot verification and vote tallies with the help of transparent crypto algorithms. Another advantage of the decentralized, trustless and distributed architecture of Blockchains in the context of democratic elections, there is no need any central authority to provide scalability, security, and fairness of election process. Since each citizen is treated as a “node” in Blockchain network during the voter registration process by receiving a token or key that would allow them to vote exactly one. In that sense, it can be said that Blockchain technology can be seen as a vehicle to struggle with “double spending” problem since the beginning can also be harnessed to obstruct double voting for more transparent and democratic elections. Therefore, for a while now new ventures and projects have been trying to create open source voting platforms for citizens. These projects are mainly designed as an open source Blockchain-based platform based on a webcam and government-issued ID to provide an opportunity to securely log in to cast votes. After the process of selecting candidates, voters can use their unique ID to open the virtual ballot box and assure that their vote is present and correct. Blockchain’s impact on various social structures is expected to be more visible for the whole population in the recent future. 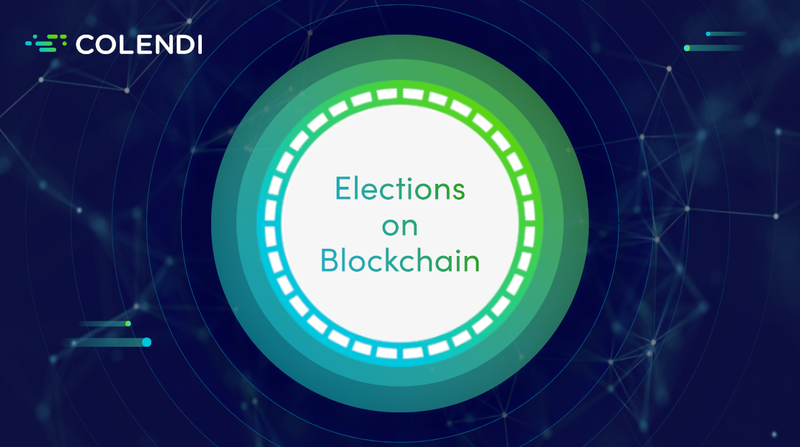 Elections on blockchain can obviously create a huge positive influence in many aspects, establishing trust among the selectors and selectees while representing full bullet-proof results.